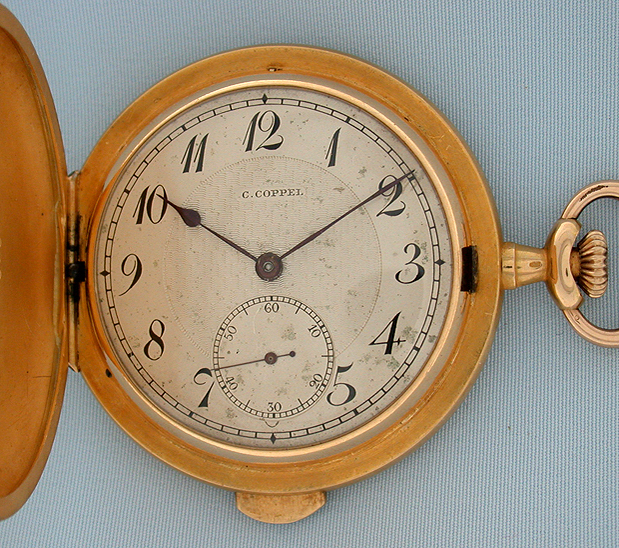 Fancy slim Swiss 18K gold minute repeater by Coppel circa 1900. 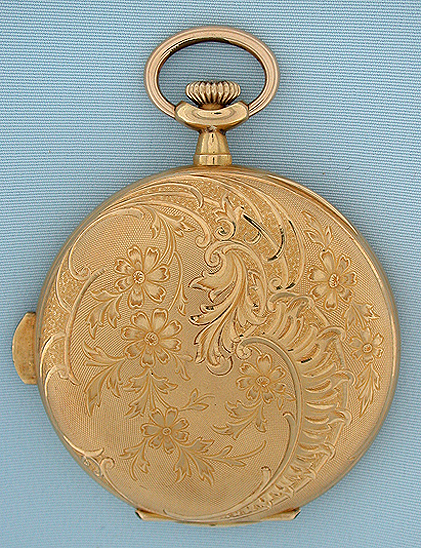 Beautifully engraved hunting case with button in the band to activate the repeat. 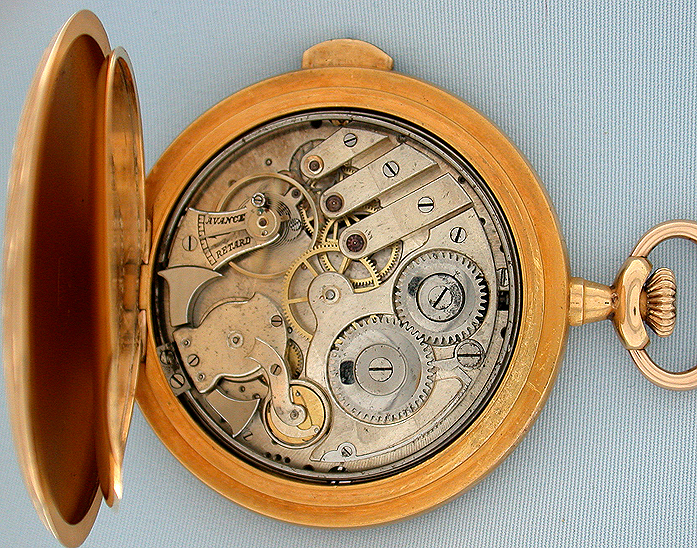 Silver dial with light signs of age and blued steel hands. 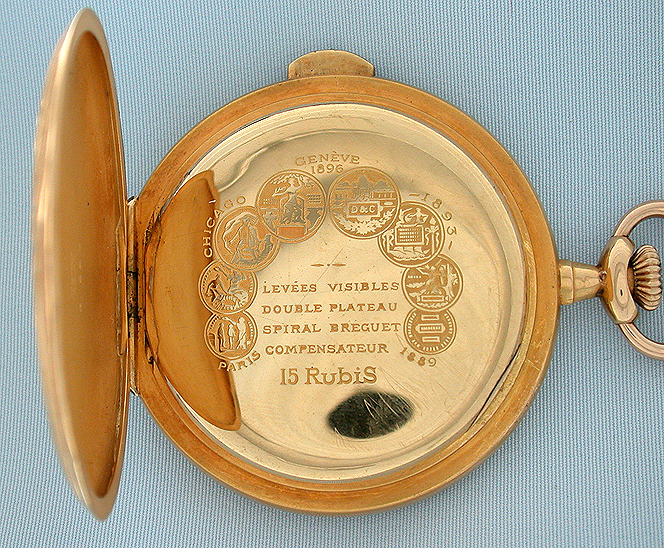 The dust cover with a description of the movement and with medals won. 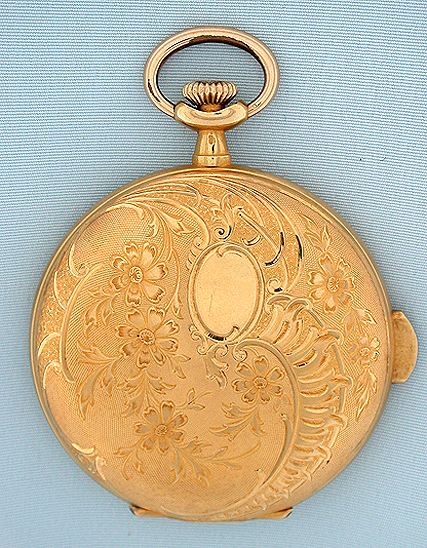 Nickel 15 jewel movement with loud, clear tone.